The Set up: Dry Creek Valley Passport Weekend: 46 of DCV’s wineries poured their wines with food pairings and entertainment for 5 ½ hours this Saturday and Sunday. This is the third year that Ms. R and I have made the pilgrimage. Kokomo Winery. Winemaker, Erik Miller and best friend-Assistant Winemaker, Josh Bartels, have begun carving a path to exceptional wines. 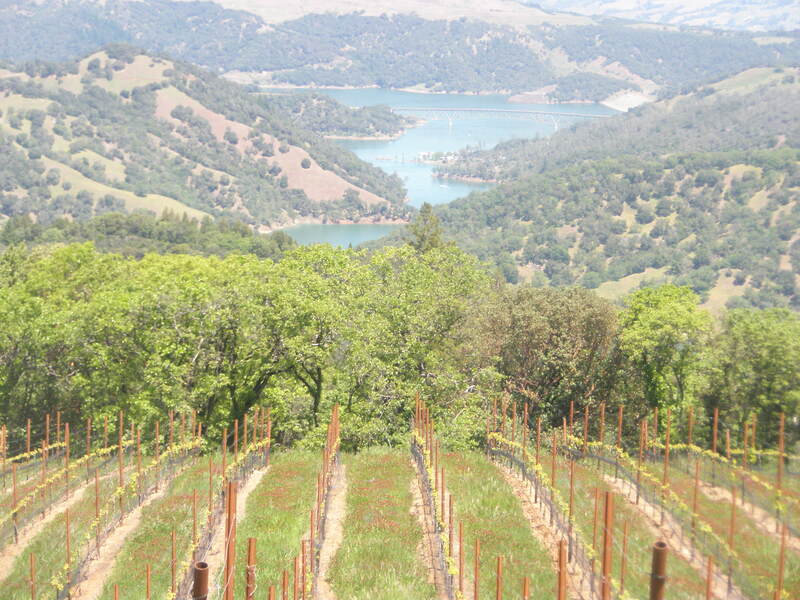 Recently, his 2008 Peter’s Vineyard Pinot Noir garnered a 93 rating from the Wine Enthusiast. Here’s what I like about Erik: he could sit back and repeat the formula that yielded that rating. This he refuses to do—being in operation since 2004—he recognizes that there’s still a lot of learning to do. Here’s another reason to like Erik: he cares to hear the positive and negative feedback about his wines. Early on I made a negative comment about his 2006 Malbec: lack of presence, overpriced, etc. He called me to try to make good on it by offering a bottle of something else—45 minutes into the conversation, I knew that he was the kind of winemaker I want to follow. I never accepted a replacement for that “bad” bottle and when I opened a second bottle of the 2006 Malbec from the same vintage last year, I have to admit that I was impressed. It had settled down: I guess it just needed a little more time. This is why I continue to go along for the ride. This Indiana raised surfer dude knows his juice and he’s works hard to get the best from it while letting the grapes speak for themselves. You want artisanal? Go to Kokomo. You want predictable, then buy Santa Margherita Pinot Grigio or better yet Coca Cola. So enough of the history lesson. What about the Kokomo wines today? Talty Vineyards and Winery. A nice selection of Zins for all tastes. Ms. R and I completely disagreed on our favorites. We did agree on two things though: first that the Cherry Chipotle Lamb Taco went with every wine we tasted; second that we would have been happy to drink our least favorite of the Talty wines with each other. We will visit again next year. Dutcher Crossing. But it wasn’t ALL GOOD– what fun would that be. The disappointment of the day was at the Dutcher Crossing Vineyards and Winery. This is one of those places that other people seem to like—perhaps it is because they have been around for a while and have an established brand. However, the winery has been under new ownership since March 2007 and the wines that I tasted back in 2009 and again this year did not impress. Food pairings—if you can call it that—were insipid and uninspired. How about a flavorless coconut shrimp or this: some sort of fruit on cream cheese spread on a piece of stale bread. Are you kidding me? Naaaaassty! Unimpressive pedestrian wines, uninspired food, and need I say more? Somebody please explain to me what I’m missing here. Then again, never mind. I will revisit them in a few years time to see if they have figured it out. Wilson Family Winery. The end of Day 1. Picture if you will this recipe. A good blues band driving the party bus. Add grilled tri-tip. Toss in some free-form stumbling-bumbling that some people thought passed for dancing. Put in a crowd of 200+ people who have been adequately marinated at other wineries who have shown up to consume copious amounts of the highly extracted, high alcohol Wilson wines. Imagine, an awesome Sunday morning hangover. Imagine 200+ Sunday morning hangovers! We could be in Australia—also known for bad dancing, strong wines and horrific hangovers. But no, we were at the after-Passport party at Wilson Family wineries. Passport ends at most wineries at around 4:30. This is not Wilson’s philosophy. As a former Wilson Wine Club member, I can say that they do have some nice wines, but the real draw for me these days is the great people-watching on the deck overlooking the Wilson vineyards. Michel-Schlumberger. We’re fans—period. Most interesting wine poured was a 1991 (not a misprint) cabernet sauvignon. It seemed to be little bit past its prime at 20 years. But made for interesting drink. Most creative dish was the popcorn flavored ice cream drizzled with olive oil and with a sprinkle of sea salt. Sounds bizarre, I know, but trust us it was the most memorable, unusual and delicious thing we had to eat. Oh yes, they also served those Pinot Blanc sno-cones. Whoa. As for the other Gustafson wines, I hope that we are not wrong in our assessment. Since I have ordered some, I will find out soon enough! « Why wine? Why Food? Why Love? Why Not?! Dear Sybarite Sauvage, I admire your leadership in creating information on this topic! Hey, I’m always willing to lead if there’s a great party at the destination. If you like that, check out today’s review of DCV’s own Wilson Family Winery Diane’s Reserve Zinfandel 2006. And definitely make the tri-tip! Thanks for the support, Ron!